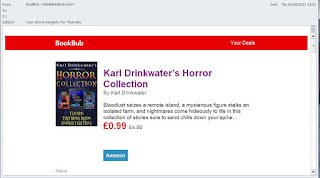 I sold over 1,204 copies of Karl Drinkwater’s Horror Collection in the week. Wow. 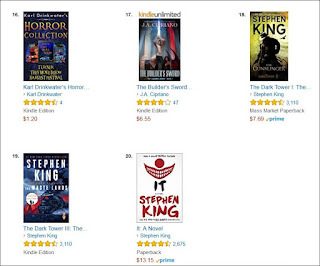 I also saw some big moves in Amazon rankings. 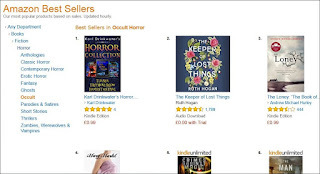 Just seeing my book get to #1 in one of the Amazon charts (this was occult horror, UK) was a proud moment; also it got to 13 in the Amazon US all-horror chart, putting it above some of my horror heroes. 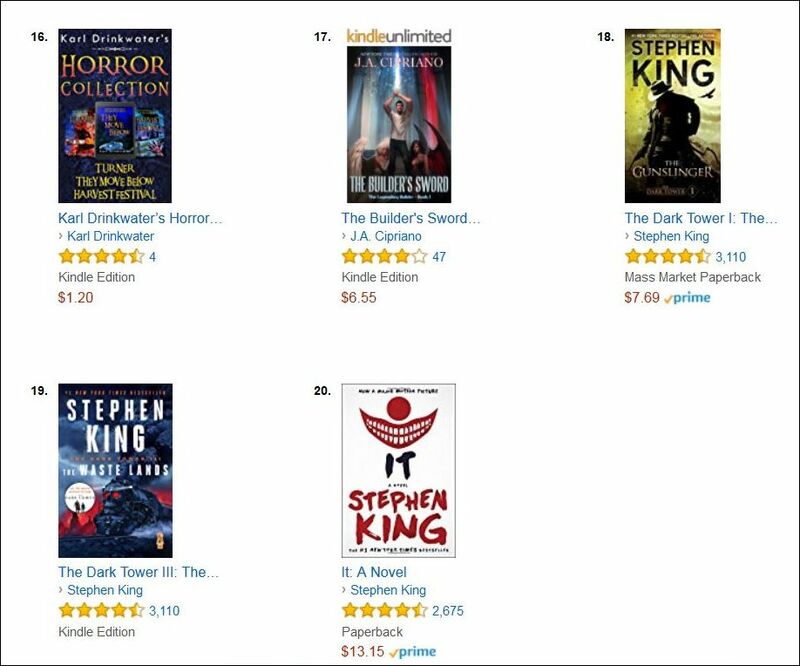 I want to thank those of you who have been supporting my writing, especially my horror stuff (which I write when I've had enough of writing books about super-geek man-babies). 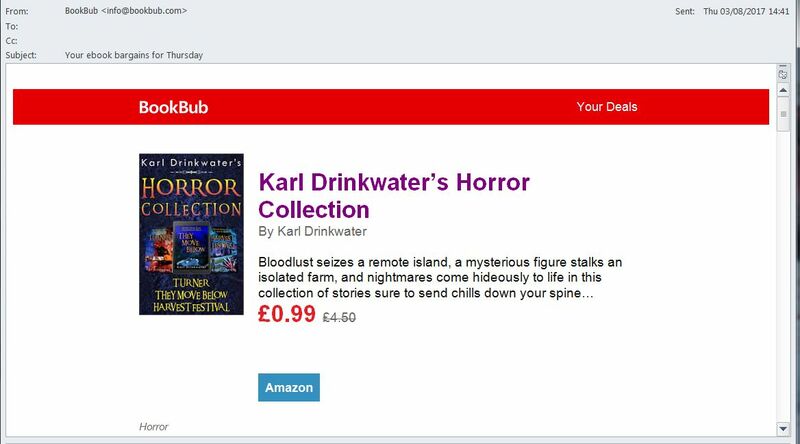 It's your support that keeps me going.